Description: 14k gold plated body with channel set crystals makes a home for three iridescent diamond cut glass stones with shades of olive. This joyful uplifting statement piece will surely steal the show. 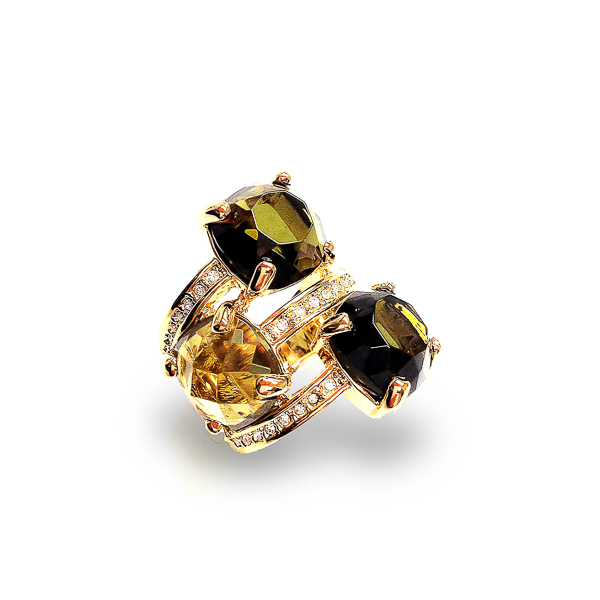 Material and Measurements: 14K Gold Plated Base Metal, Diamond Cut Glass Stones, Crystals - Focal Point 1" X 1"
Enter Quantity for R-AE066-YG to add to your shopping cart.